South Carolina has seen its state government do a lot to make higher education a more affordable and more possible thing for its local students over the last couple of decade. Whereas students in the state had limited opportunities as few as 20 years ago, they are now able to attend world class universities using grants and scholarship programs funded by both the state and by local organizations. Most of the money for these programs has come through funding from the South Carolina Education Lottery, a program put in place with the idea of helping improve the state’s higher education opportunities at the beginning. In order to qualify for the many programs out there, students have to meet some criteria. Some of the programs are based upon scholastic merit and they have to be used at a school in the state. Other programs are need-based, which allows for some opportunities for those individuals who might not have met the high standards for scholarships, but still want to pursue a higher degree at one of the great state schools. The most common scholarship that is handed out is the South Carolina LIFE Scholarship, which comes with some regulations and qualifying measures. Award is for $4,700 per year in scholarship money for those attending four year colleges. Award is for the cost of attendance for those individuals attending two year programs. One must attend a public university within the state of South Carolina to qualify. Applicants must complete their high school program with a GPA of 3.0 or better and an SAT score of 1100 or better. Qualifications for incoming freshmen are increasing each year, so the scale continues to slide upward. Individuals can use finishing in the top 25% of their high school class as a replacement for the GPA requirement if necessary. The award is open to those who attended any high school in South Carolina, including public schools, private schools, and even some home school programs. Award is automatically applied by the financial aid office of the school that the student chooses to enroll in, so there is no application necessary at any point. Students must maintain a 3.0 GPA at the end of the school year in order to renew the scholarship. Includes all classes taken at any university in South Carolina, so students are able to apply summer credits to the scholarship GPA. The LIFE scholarship is designed to be a starting point and students are able to use grants and loans in addition to the scholarship amount. Since this scholarship is funded by the state of South Carolina, individual schools still regularly give their students additional amounts of merit scholarship money in order to entice them to attend that particularly university. In addition to the LIFE scholarship, South Carolina provides other scholarship options for those people who perform well enough in high school to qualify. One of those is the Palmetto Fellows Scholarship, which is a step up from the LIFE scholarship. The Palmetto Fellows Scholarship is different from the LIFE offering in many ways, the most important of which initially is the fact that students have to apply specially for that award. The LIFE scholarship is applied automatically, but students wanting to receive the Palmetto Fellows award must submit an application to the state no later than December 15 of their senior year. Students must have an SAT score above 1200, as well as a GPA above 3.50 on the South Carolina Uniform Grading Scale in addition to being in the top 6% of their class at the conclusion of either their sophomore or junior year. Students can substitute the 6% class requirement if they have a cumulative GPA of higher than 4.00 following their sophomore or junior year. This is done in order to protect those students who attend highly competitive schools. Students must submit all application materials on time, including recommendations and required essays. Award may be used to attend any school in the state of South Carolina. In order to qualify, students must have attended any accredited public or private high school in South Carolina, or they must have gone to an approved home school. Award is for $6,700 per year annually during the freshman year, and can be bumped up to $7,500 per year in the years following that. For students who attend small high schools with 20 or less students, the top two students in the class can be considered, effectively negating the top 6% rule in those schools. Students with more than one alcohol-related offense on their criminal record are not eligible to receive the scholarship. Students must maintain a 3.0 or better GPA in order to renew the scholarship the following year. This takes into account any and all classes taken at all universities during the year. Students who qualify for the Palmetto Fellows Scholarship award and choose to attend an out of state institution can reapply for the award if they decide to transfer back to a state school at any point during their college process. Palmetto Fellows Scholarship enhancement increases the award to a maximum of $10,000 annually. Enhancement can only be used in the sophomore, junior, and senior years. In order to qualify for the enhancement, students must declare a major in a qualified math or science field by the end of their freshman year, and they must maintain the typical 3.0 GPA in order to renew the scholarship. Graduated from an accredited public or private high school in South Carolina with at least a 3.0 cumulative GPA when looked at on the uniformed SC grading scale. Have not been convicted of a major offense. Have not had more than one alcohol offense of their record. Made plans to attend a South Carolina university. The award is similar to the LIFE Scholarship in that there is no application process and the money is applied automatically by the school. This is a one year commitment, so there are no rollover requirements for students. The HOPE scholarship provides $2,800 in that year for the cost of attendance, which can include a $300 book stipend that the school will dispense in check form. This is designed to help out those students who made good grades, but perhaps were not skilled enough test takers to qualify for LIFE Scholarship assistance through the state. One important note on the HOPE scholarship is that continuance of the program is dependent upon continued success of the Lottery Program, so the state does not promise that it will continue into the coming years. For those students who choose to attend the University of South Carolina, special need-based assistance is available through the state. The Gamecock Guarantee is the name of this program and it seeks to make sure that students who are bright enough to make it into school at USC will have the means to pay for that education in each of their four years at the university. Students must apply for admission to the University of South Carolina by the beginning of December. Students must gain acceptance to the university through the typical admissions process to qualify. Students must submit an application for aid through the Federal Application for Student Financial Aid (FASFA) and they must be eligible for the Pell Grant through the government. The student’s family must not make more than 150% over the national poverty line. Students who use the Gamecock Guarantee must stay on track for graduate and maintain good standing within their particular area of study to continue getting the aid. Award provides a minimum of $2,500 per year for students who qualify, but the amount can be more than that for students who have a greater need. Similar to how the Gamecock Guarantee is a need-based grant program geared towards the University of South Carolina, the state provides other need-based programs for students who want to attend other schools around the state. 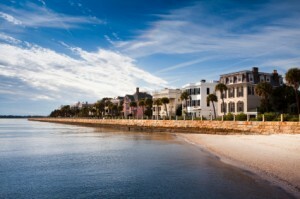 South Carolina has a host of school options, including top public university Clemson and other state schools like the College of Charleston. Receive the Federal Pell Grant through that process. Show a significant financial need similar to the Gamecock Guarantee. Make progress toward a degree and stay in good academic standing to renew the grant. Grant award is $2,500 per year, half of which will be awarded in the fall and half of which will come in the spring of the academic year. Amounts will go directly to the university in order to pay for cost of attendance up front. One of the smaller programs to help people on a need basis is the South Carolina Lottery Assistance program. While all of the other grants and scholarships go towards people taking a full load of classes, this one actually helps people who attend part time programs, too. In order to be eligible for assistance, students have to go through the FASFA process to show need and they have to enroll in at least six hours worth of classes at an eligible South Carolina school. This can be used for either a two-year or a four-year program. Assistance can also be used to pay for summer classes if those are necessary. Up to $900 worth of assistance can be collected for students enrolled full time. $75 per credit hour can be collected for students that are part-time, but taking at least six hours of classes. Students must not be in default on any federal student loans and must be in good standing with the state loan program. Students must apply for the assistance well in advance. South Carolina has an extensive loan program, but one that comes close to being a grant program is its teacher loan initiative. The state sets aside $2,500 per semester in loans for students who major in education. In order to qualify, students have to submit applications with FASFA and they have to attending an accredited university within South Carolina, while majoring in some form of education. The interesting thing about these loans is that they can be canceled by the state if the student agrees to work in an underrepresented area of the state after finishing college. The areas that qualify for this loan forgiveness are subject to change, but are typically, the low income parts of South Carolina. Students can apply through the SC Education Loan Corporation if they are interested in this program either before entering school or at any point during their time in school. Scholarships are available for students who show significant financial need and have also lost one or both of their parents. It is important that these students have a satisfactory academic performance record and they must exhibit high character in spite of their circumstances. This organization dispenses money to students who plan to go to a four year university and study animal sciences or some other wildlife-related field. Students must apply specially for this program and they must show a long standing interest in wildlife conservation in order to qualify. The grants can be renewed by students who continue to work towards a degree type that is eligible under this program. As the name suggests, the scholarships are highly specialized and they are given out to young women who plan to enter the business world. In order to qualify, women have to be attending a university that offers a degree in some form of international trade. These scholarships are highly specialized and limited, so those looking to apply must do so especially with the organization in Charleston. This scholarship program is designed to help out kids who have lost their parents in some form of work related death. This program provides full assistance based upon qualifying factors and students have to submit all sorts of application materials. The hope of this program is to provide kids a fighting chance to succeed, even though they have been thrown into highly disadvantageous circumstances by losing either one or both of their parents early in life. The program helps out a limited number of students each year. I am a little concerned as I made a 1230 on my SAT and had over a 4.0 my Sophomore and Junior years. However, I only received the LIFE Scholarship based on my school’s Guidance Counselor. I only have received LIFE for the last 4 semesters. I humbly wish to solicit for a scholarship grant to enable me sponsor myself at the Anderson University where I have been admitted to do my Master degree, beginning January 2012. Should there be any more questions, I will not hesitate to answer. Once again Thank you. I was so excited ti get my acceptance letter in the mail:) USC was my number one choice.Only problem is I wont be able to go if I dont get all the money . I believe i have tuition covees but as a freshman I muat stay in the dorms anunfortunately I have yet to get the fundas or sit. I AM DESPERAt to USC and I am searcng like crazy and applying like crazy for scholarships. My parents are unable to help me out as both are without jobs.please help me by maybe suggeating available scholarships.